Machine Learning | Machine Learning Department › News › News Archive › 2018 › february › Manuela Veloso recognized on "18 Inspiring Women in AI, Big Data, Data Science and Machine Learning"
Manuela Veloso recognized on "18 Inspiring Women in AI, Big Data, Data Science and Machine Learning"
For the 2018 international women's day, KDnuggetstm profiled 18 inspiring women who lead the field in AI, Analytics, Big Data, Data science, and Machine Learning areas. 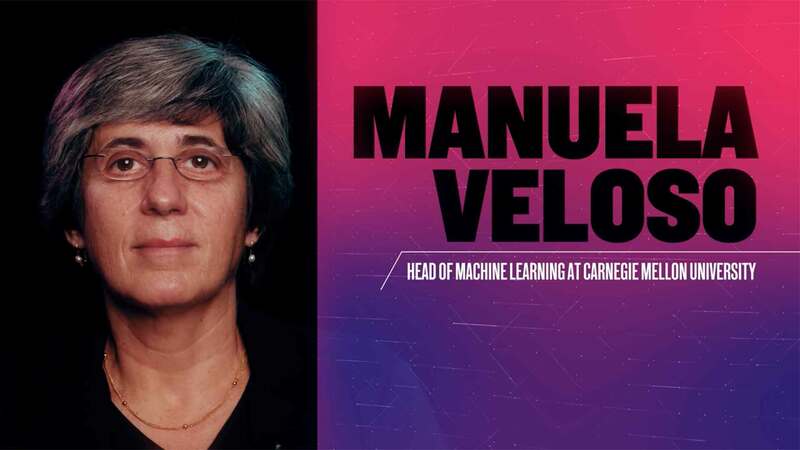 Manuela Maria Veloso is the Head of the Machine Learning Department and Herbert A. Simon University Professor in the School of Computer Science at Carnegie Mellon University. She was the President of AAAI until 2014, and the Co-Founder and Former President of the RoboCup Federation. She is a fellow of AAAI, IEEE, AAAS, and ACM. She is recognized widely as an international expert in Artificial Intelligence, Machine Learning and Robotics. KDnuggets™ is a leading site on "Business Analytics, Big Data, Data Mining, Data Science, and Machine Learning."